Constant home-and-away blowouts have become the norm in the NBA playoffs. Would the Finals be better off moving to a neutral site? Here’s one proposal to make the title series more compelling. OAKLAND, Calif. — The NBA has a first-world problem on its hands: the sweet-shooting, ultra-efficient, superstar-driven offenses that have driven the league’s booming popularity in recent years are, once again, wreaking a little bit too much havoc in the postseason. Indeed, playoff blowouts are fast becoming the norm. During the 2018 conference finals, the average margin of victory has been 22 points, with six of the seven games decided by double-digits. Last year, the five Finals games were decided by an average of 15 points. Even the 2016 Finals, an instant classic that went seven games, featured six double-digit contests and a 17-point average margin of victory. There is a difference between uncompetitive and boring, and the NBA’s television ratings records suggest fans haven’t yet been put off by the string of one-sided affairs. 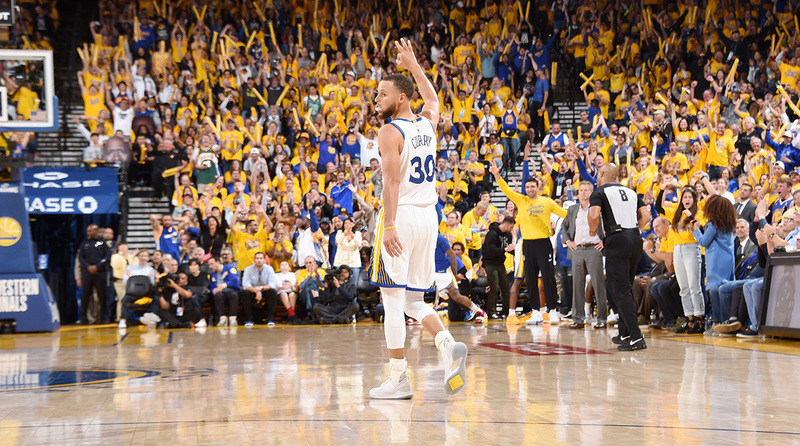 More than eight million people tuned into Game 1 of the West finals, a 13-point Warriors victory. Then, 7.8 million people watched Game 3 of the West finals, even though Golden State handed Houston a 41-point defeat, its worst loss in franchise history. From the league’s perspective, there is surely a desire not to kill the golden goose: the three-point revolution has juiced scoring, while the onset of the pace-and-space style has minted a new batch of superstars and hooked a new generation of fans across the globe. Instituting major rule changes to diminish offense or slow the game would be foolish and bad for business. Nevertheless, all these blowouts represent a perception-shaping glitch in the system. For years, the knock on the league was that fans only needed to watch the final five minutes because the first 43 minutes didn’t really matter. Now, the trope has been inverted: there’s no need to watch the fourth quarter on many nights because the game has already been decided. In an ideal world, the league’s best teams wouldn’t pull away so quickly, thereby treating fans to barnburners that marry high-efficiency, highlight-filled play with high-pressure late-game drama. But if these playoffs have taught us anything, it’s that NBA coaches hate to publicly acknowledge the role that home-court advantage plays when it comes to blowouts. Boston’s Brad Stevens told reporters this week that he avoids talking about home and away disparities because dwelling on the subject inevitably leads to “finding excuses in both places.” Never mind that the Celtics are now 9-0 at home (with five double-digit wins) and 1-6 on the road (with three double-digit defeats). Meanwhile, Houston’s Mike D’Antoni attempted to downplay Golden State’s perfect home record over the past two postseasons by keeping the focus on his opponent’s talent. “Somebody asked me, ‘Oracle's a tough place to play, isn't it?’ Yeah, because the Warriors play here.” Never mind that the Warriors are 7-0 at home (with five double-digit wins) and just 3-3 on the road (with three double-digit losses). This is clearly a case of coaches trying to keep their teams focused in hostile environments. Conventional wisdom suggests that teams shoot better from deep and play with greater defensive energy at home; the results from the past five years confirm that it’s far more common for NBA teams to win big at home compared to on the road. Over the last five postseasons, there have been 127 total blowouts, defined here as wins by 15+ points. To no one’s great surprise, home teams are responsible for 90 of those blowout wins, or roughly 71%. Golden State neatly embodies the disparity: Of its league-leading 23 blowouts, 16 have come at Oracle Arena. What’s more, of the 19 different teams with at least one blowout win during the last five postseasons, none has more blowout wins on the road than at home. Here’s a radical thought: What if the NBA moved the Finals to a neutral site in hopes of dampening the blowout effect? Instead of the wild swings that have regularly occurred when recent series have shifted venues, perhaps a single location, devoid of home-court advantage either way, would produce a more competitive and steadier series. 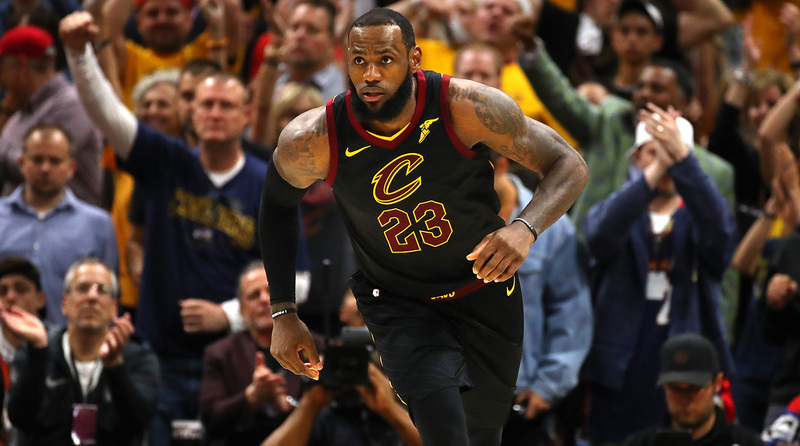 The NBA has always used a home-and-away format throughout the modern era, so such a proposal would represent a drastic departure from history. Switching to a neutral site would undercut the value of the regular season, as the team with more regular-season wins currently enjoys home-court advantage in the Finals. Local fan bases would also be denied the opportunity to watch Finals games and to potentially celebrate a title in their home buildings. Those are real costs, even though home-court advantage would still be preserved throughout the first three rounds under this proposal. However, there would be some clear benefits too. For starters, all the cross-country travel involved in the NBA’s hectic 2-2-1-1-1 format would be eliminated, hopefully leading to fresher players and more energetic contests. Even better, using a single site could turn the Finals into an extended summer version of All-Star Weekend, allowing the entire basketball universe to converge on a desirable location for networking, business events, parties and the like. As the NBA has evolved during commissioner Adam Silver’s tenure, the NFL and international soccer have become models and targets for the league. It’s worth noting that the NFL utilizes a rotating neutral site for the Super Bowl, which comes packaged with a full week of hype. The FIFA World Cup, of course, is held in a predetermined host country, with the final match played at a major iconic venue. Why shouldn’t the NBA borrow from both? Imagine the Finals as a true June showcase, unfolding over a tight, two-week period in Miami, Los Angeles, New York, Las Vegas, Toronto or even London. No travel excuses or distractions. No sketchy air conditioning failures or other home-arena hijinks. More opportunities for corporate partners to conceive large-scale interactive events. Easier logistics for international media members and fans wanting to attend. Not to mention, the revenue-generating possibilities that might arise from auctioning off hosting rights for the entire extravaganza. Utilizing a rotating venue could even help push back against mounting Superteam-related frustration. Watching the Warriors and Cavaliers face off in their fourth consecutive Finals would be a totally different experience if they were playing in their fourth different host city. The hypotheticals are juicy. Curry going off for 40 points in Game 7 at Cowboys Stadium. LeBron James receiving a standing ovation from the Madison Square Garden crowd after claiming his long-awaited fourth ring. Or, for those who truly love pipe dreams, picture Kyrie Irving and Donovan Mitchell dueling in the 2023 Finals… in Beijing. The three-pointers and high-octane attacks are here to stay. Why not see if a made-for-TV, made-for-social-media neutral-site Finals could produce a series loaded with crunch-time moments rather than alternating blowouts? After all, “too much firepower” is both a good problem to have and an opportunity in disguise.